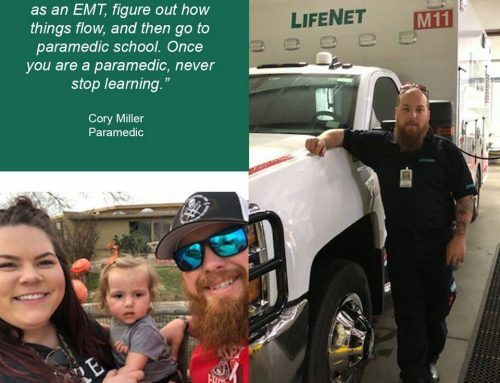 Justin has been a paramedic in LifeNet’s Hot Springs Division since 2018. “I’ve always admired and respected the first responders I would see on the scene of a wreck or responding to calls in public. 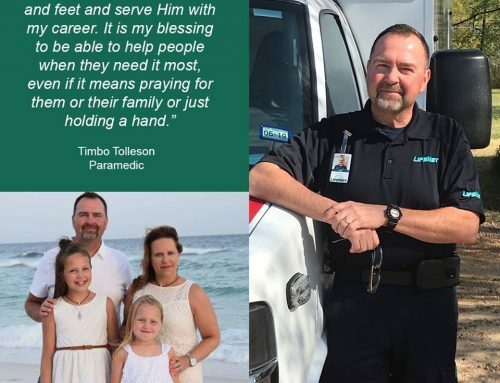 I remember thinking how awesome it would be to be one of those people who save lives,” Justin said as he described why he decided to start a career in EMS. Justin enrolled in the EMT program at National Park College and got “hooked” on EMS. “From the beginning I wanted to keep training and learning. 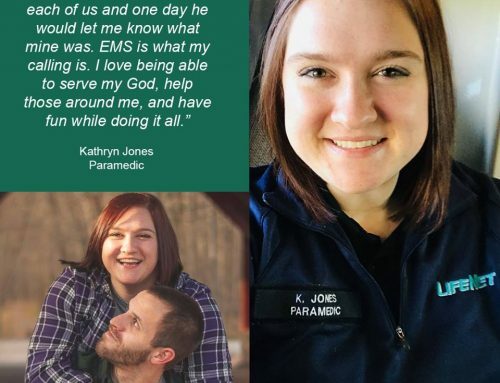 I got into medic school the following year and have not looked back,” he said. Making a difference in someone’s life is one of the things Justin truly likes about his career choice. “What I enjoy the most are the little unexpected interactions I have with my patients. Having a chat with someone on the way to the hospital that otherwise might not have had anyone to talk to before I showed up. Those kinds of memories are the ones that I enjoy the most. I enjoy being able to make people smile and feel as comfortable as possible during what might be one of their worst days,” he said. 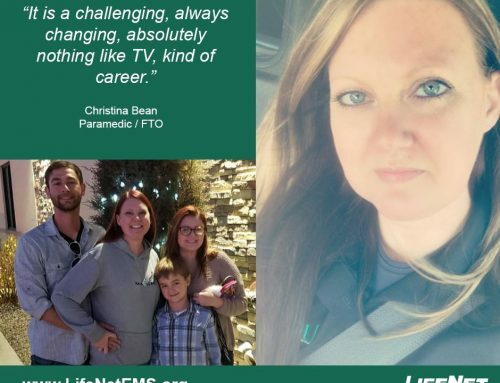 As a new paramedic, Justin also enjoys the support he receives at LifeNet. 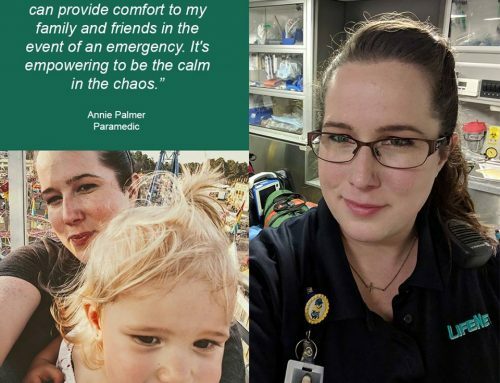 “Other than the awesome equipment and progressive protocols, what I value the most about this company is the amount of support and guidance I’ve gotten from my coworkers as a new medic. Almost everyone has given me tips and pointers along the way, and I am grateful for that. Everyone wants to see you succeed, and that is a great feeling,” he said. For others considering a career in EMS, Justin encourages being inquisitive. “Don’t be scared or nervous to ask tons of questions to your teachers and mentors. Many people might be hesitant to ask about things they might not understand during their training, but that’s what it’s for. Learn as much as you can. Then be prepared to learn 10x more once you get out on your own. That’s when the real fun begins,” he said. When he’s not at work, Justin likes to play guitar, cook, go out with friends, and spend time with his family and his dog.